The American Thoracic Society has picked University of Arizona Department of Medicine Chair Monica Kraft, MD, to receive its Elizabeth A. 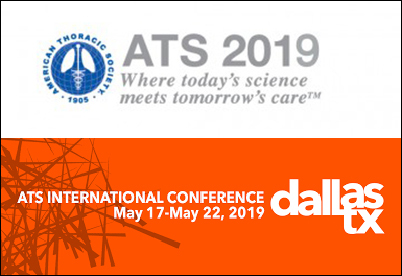 Rich Award at the Women’s Forum of the ATS 2019 International Conference, May 17-22, in Dallas at the Kay Bailey Hutchinson Convention Center. The forum is Monday, May 20, 11:45 a.m. to 1:15 p.m., at the Hyatt Regency Dallas, 300 Reunion Blvd. The award will be presented to Dr. Kraft by Janet Lee, MD, chair of the ATS Membership Committee, host of the Women’s Forum and professor of medicine and director of the Acute Lung Injury Center of Excellence in the Division of Pulmonary, Allergy, and Critical Care Medicine at the University of Pittsburgh. Since 2000, the ATS Membership Committee has presented this award on behalf of Elizabeth A. Rich, MD, a respected ATS member, mentor and peer who died tragically in 1998 at the age of 46. Dr. Rich was an associate professor in the pulmonary division at Case Western Reserve University and University Hospitals of Cleveland, a member of the executive committee for the Center for AIDS Research and director of a biosafety level 3 (BSL-3) facility—a specialized laboratory for the handling of HIV, virulent TB bacteria, and other infectious agents. The award recognizes her dedication and contributions to the field of lung disease research as well as her position as a female role model and mentor. Be aware that some fees may change Feb. 15, March 14 and onsite May 17. An internationally renowned physician-scientist specializing in translational research on severe asthma, Dr. Kraft is also a UA professor of medicine, the Robert and Irene Flinn Endowed Chair of Medicine at the UA College of Medicine – Tucson, and deputy director of the UA Health Sciences Asthma and Airway Disease Research Center. She joined the UA faculty as department chair in 2014, having served previously on faculty and in leadership roles at Duke University School of Medicine and the University of Colorado – Denver/National Jewish Health. She has held numerous committee appointments supporting the transition following the 2015 merger of UA Health Network and Banner Health that created the Banner – University Medicine academic division. Likewise, she has supported multiple efforts to strengthen and expand research opportunities throughout the department for medical students, fellows, junior and senior faculty. Since her arrival, the department also has gone from three female chiefs out of 13 divisions to eight out of 14 divisions, with an additional three female associate department chairs. At last year’s ATS International Conference, she was presented with the 2018 Distinguished Achievement Award, which is given to individuals who have made outstanding contributions to fighting respiratory disease through research, education, patient care or advocacy. In addition, Dr. Kraft was informed last week that she is a finalist for the 2019 Healthcare Champion Award at the “Women of Influence” gala presented by Inside Tucson Business/TucsonLocalMedia. That event is March 6, 7-9 p.m., at Sahuarita’s Desert Diamond Casino Desert Center. See the first story link below for information on registration to attend.